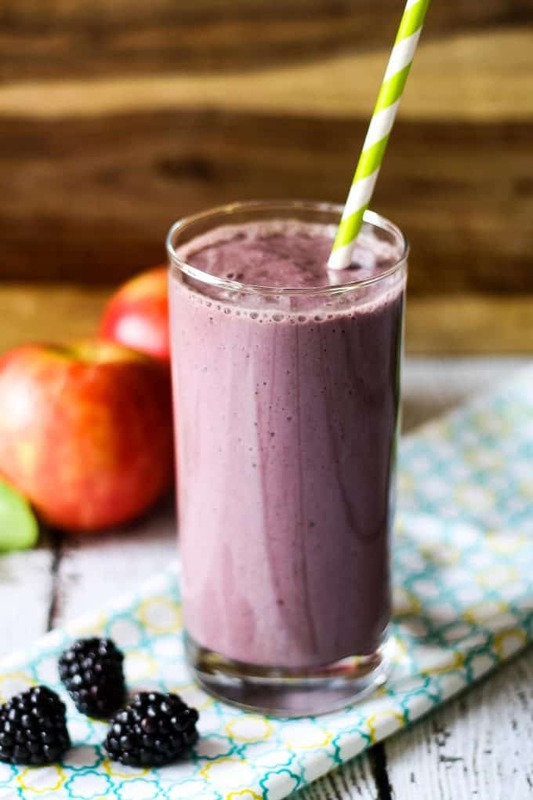 Start your day off a little healthier with this tasty blackberry apple smoothie! Made with almond milk and sweetened with agave nectar. By this point of 2015, many of you have made new year’s resolutions to eat healthier… and then stopped eating healthy. I don’t blame you. It’s hard to stick with it – I have fallen off the healthy wagon many, many times. I’m off it right now, in fact. I was looking for healthy recipes the other day and I got a little overwhelmed. Maybe you feel the same way? I was so concerned about eating healthy and not eating that doughnut, or piece of cake, or whatever, that I didn’t really want to worry about some complicated healthy recipe. Throw everything in a blender and you’re good to go. 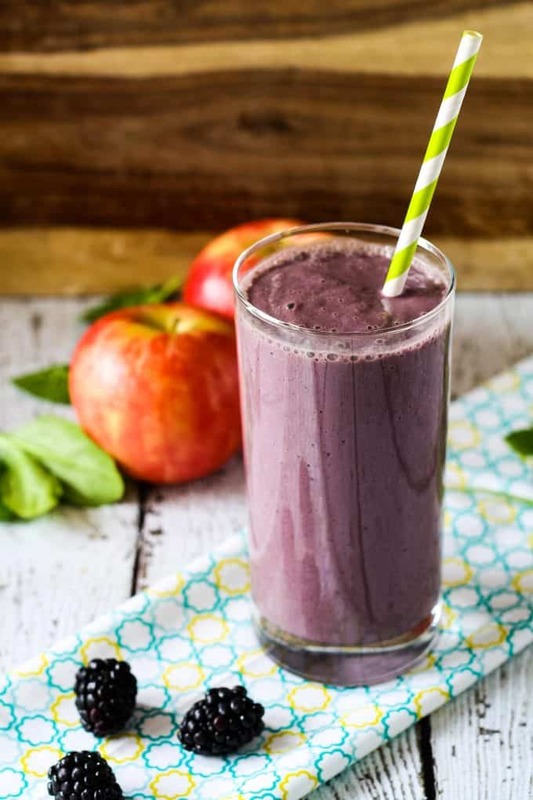 Healthy eaters figured this out a long time ago and smoothie recipes have been filling my rss feed reader for the last few week. I may be off the healthy wagon but I’m jumping on the smoothie train. Normally, I am a blueberry and raspberry girl only. But I just love, love, love how juicy and plump these blackberries are and had to use them instead. So happy I did. Instead of sugar and milk (my usual smoothie ingredients,) I used agave nectar and almond milk. That, paired with the fruit and a little surprise – a handful of spinach! 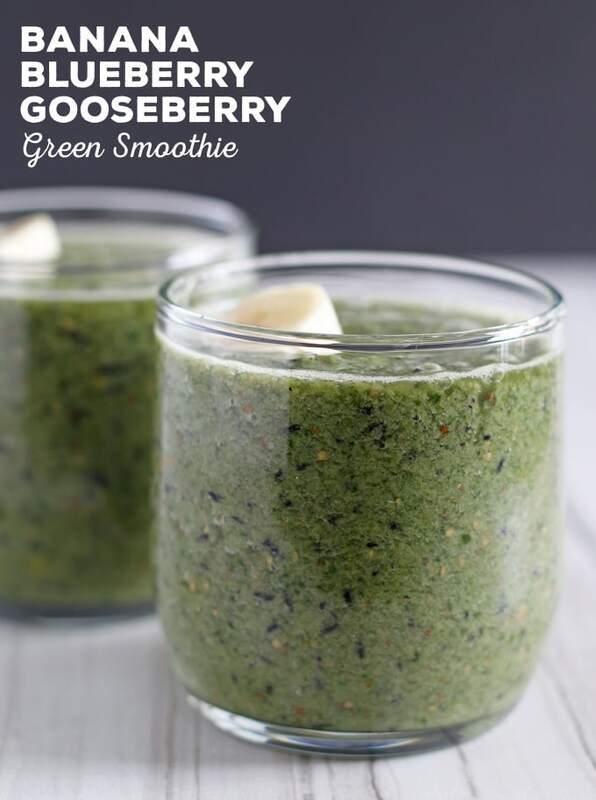 – makes for a delicious and healthy smoothie. If you’re looking for something sweet, use more agave nectar. I just use a touch because I didn’t want to take away from the flavors of the blackberries and apple. 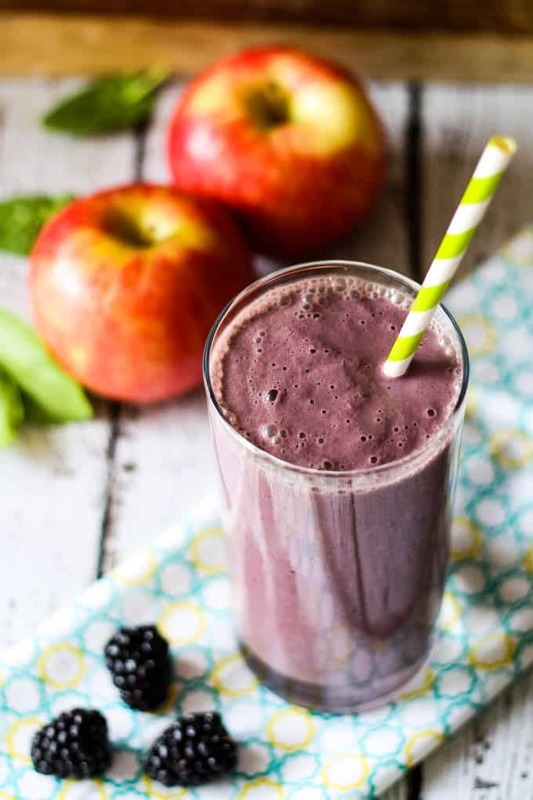 Start your day off a little healthier with this tasty blackberry apple smoothie! Sweetened with agave nectar. 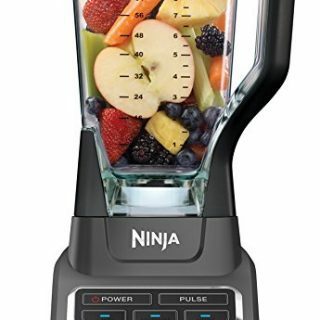 Combine all ingredients in a blender, in the order listed. Pulse the blender until the fruit is pureed, then liquify until smooth. Love this recipe!! It looks like a wonderful way to start out the day! Thanks Jenny! We eat smoothies every week ~ this one looks soo good! Thanks for sharing, you know what I am eating with my son tomorrow for breakfast! I absolutely love Blackberries! I can’t wait to give this smoothie a go! I’ve falled of the wagon too, but I still feel ok about it because I have a smoothie 🙂 It fills me up good too! Sounds and looks delicious, I love smoothies! And I love anything with blackberries, yum! Love this flavor combination and know my menagerie would as well. Time to stock up on blackberries! Such a gorgeous color! I never would have thought to combine blackberries and apples … thank you! 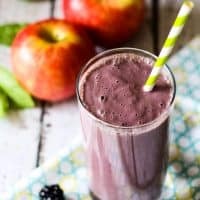 I love to make and drink all kinds of smoothies so I hopped by from Diana Rambles to see your delectable Blackberry Apple Smoothie and I’m glad I did! What a yummy recipe.. I sometimes add dates or raisins to my smoothies for sweetness. Pinning and sharing this!! I often add dates too – such an easy way to add a touch of sweetness. Thanks for stopping by Deborah! Been very into smoothies lately and look forward to trying this one. They are just so wonderfully easy and endlessly customizable I can’t imagine ever getting bored of them. But I said that about a few boyfriends back in the day too 😉 Thanks for linking up at #SaucySaturdays.